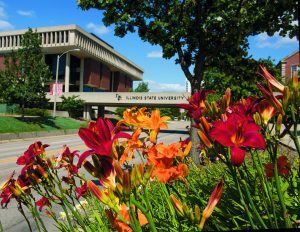 Hovey Hall is Illinois State University’s central administration building. It contains the President’s Office, the Office of Admissions, the Vice President for Finance and Planning, the Graduate School, the Provost’s Office, and the Vice President for Student Affairs, along with many other essential units. 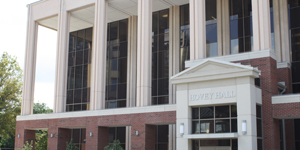 The original section of Hovey Hall was first known as the "Administration Building." The West wing was built in 1950 and the East wing was added in 1967. Hovey Hall was named after Charles E. Hovey, the 1st President and Principal of Illinois State Normal University from 1857-1862. Born in 1827 in Virginia, Charles Hovey was one of 11 children. He proved to be a gifted student and was given the opportunity to teach at the age of 15. He served in the Civil War, commissioned by Abraham Lincoln, and was promoted to brigadier general.